This beautiful leather office tray should be a must have in every home or office. It will make a beautiful gift for your husband or your wife. Caddy will be custom engraved as per your request. 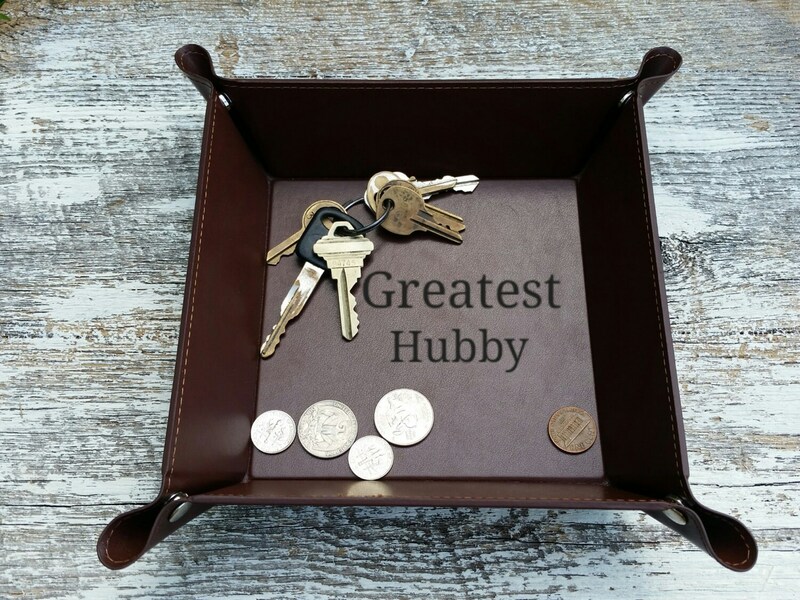 Let them place it on their office table or at home on the counter, night stand or bathroom counter where he or she can empty their pockets and have everything in one place. Let us engrave their name, monogram, or a small quote on the tray for an even more special gift. Size: unsnapped 9.5 x 9.5 inch / snapped 5.5 x 5.5 inch with 2 inch sides.